Korean engine manufacturer Hyundai has added a new diesel engine to its R-Series range of small high speed diesels which is particularly suited to applications in RIBs and smaller patrol and work boats. Rated at 200 hp in its light duty form this engine is based on a 4 cylinder block coupled to an aluminium cylinder head. The R-200 engine is both turbo-charged and inter-cooled and can meet EPA Tier 3 emission requirements in the USA and IMO Tier 2 and is RCD compliant in the EU. The engine is fitted with a common rail injection system and this is matched to an electronic variable geometry turbo-charger. There are four valves per cylinder on this 2.2 litre engine which has a dry weight of 280 kg. 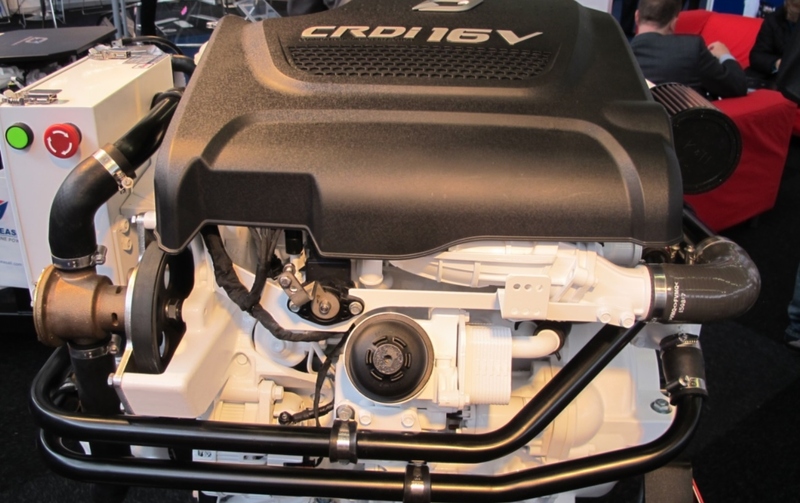 Hyundai claims a low fuel consumption for this new engine at a maximum of 40 litres per hour at full speed. The engine has a full electronic monitoring, alarm and diagnosis system coupled to a dashboard display. The engine is fresh water cooled via a seawater heat exchanger and there is a connection built into the cooling system to allow for a cabin heating facility to be incorporated. The engine fuel filter incorporates a water sensing detector and there are both low and high pressure fuel pumps.The R-200 is fully adaptable to a variety of propulsion systems. Version R-200P is designed for shaft drive via a gearbox whilst R-200J is designed for water jet propulsion. 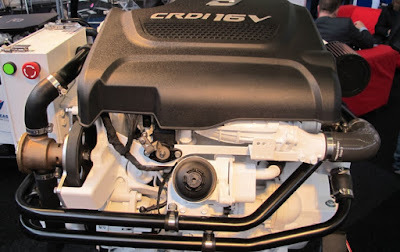 The unit can also drive through a Mercury Bravo 3X stern drive and this version is the R-200S.This new engine is part of an extensive range of diesels marketed by Hyundai that range from 125 hp up to 500 hp. They are all based on high performance car and truck diesels and they can be adapted to a wide range of marine applications. They are marketed under the Hyundai Seasall name.